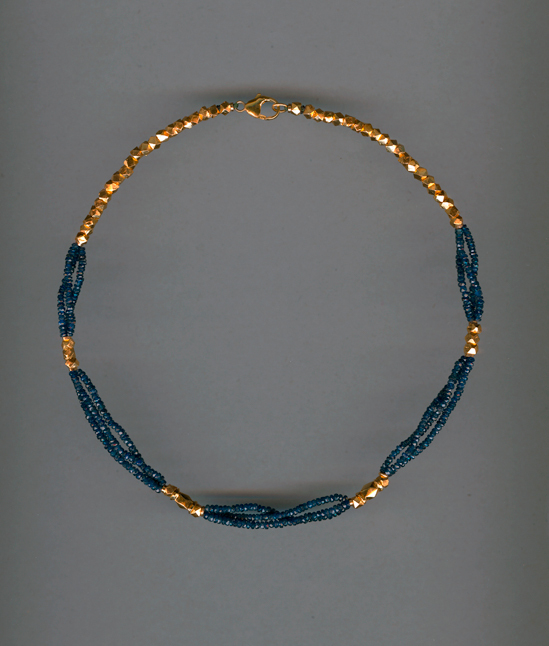 Here is your chance to own a unique Gold Plated and Sapphire Necklace made by Joanna Bristow. The simple, elegant design consists of three strands of dark blue sapphire and gold plated Moroccan silver beads made specially for Joanna. The piece measures 45.5 cms long and weighs 37 grams. The price is 700 Euros exclusive of post and packing. You can pay online with Paypal or in person with Visa or Mastercard.